Moïse N.S., Pariaut R., Gelzer A.R., Kraus M.S., Jung S.W. Cardioversion with lidocaine of vagally associated atrial fibrillation in two dogs // J Vet Cardiol. 2005 Nov;7(2):143-8. Two dogs with acute onset atrial fibrillation (AF) were cardioverted to sinus rhythm by the administration of 2mg/kg lidocaine given intravenously. Each dog was believed to have AF initiated because of elevated vagal tone. This report has potential clinical impact for a subset of dogs because it offers a treatment to circumvent persistent AF. Furthermore, this encouraging result of a pharmacologic cardioversion suggests that further investigation would be of interest to ascertain the effectiveness and mechanism of the antiarrhythmic action of lidocaine in vagally induced AF. Figure 1 Six lead electrocardiogram recorded from a dog with atrial fibrillation (AF) that was associated with circumstances of elevated parasympathetic tone (laryngeal paralysis and sedation). The atrial fibrillation (AF) was documented for 35 min during which the ventricular response rate had a respiratory rhythmic variation with slower and faster rates indicating the vagal influence on AV nodal conduction. Fibrillation waves (fff) and the irregular RR interval are diagnostic of AF. Lidocaine (2 mg/kg IV) was given 68 s before the first P wave (first P on the left superimposed on the T wave). The lidocaine converted the AF to a sinus rhythm. The second P wave is not conducted but is then followed by a sinus rhythm. Paper speed 50 ms, sensitivity 10 mm/mV. 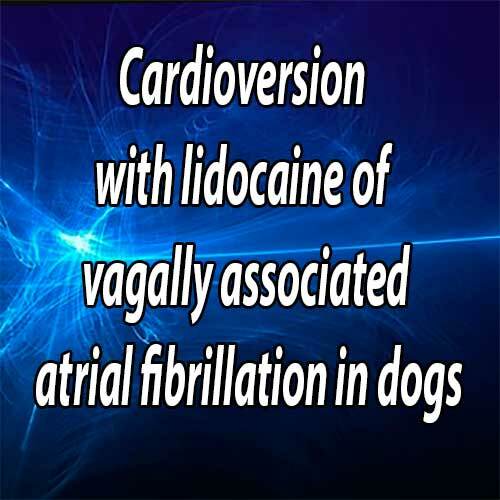 Given the remarkable consistency of pharmacological cardioversion of AF in experimental dogs, we wished to determine if lidocaine would be a successful treatment in clinical cases of atrial fibrillation (AF). We knew that the conditions underlying AF would need to be specific to approximate those seen experimentally. Therefore, we treated with lido- caine two consecutively seen dogs with acute onset AF in which the modulating factor for AF induction likely was elevation in vagal tone. Lidocaine successfully converted AF to sinus rhythm in both dogs. We report these cases to document an easy and successful treatment of AF when the situation mimics that described herein. These 3 frames, although not exactly continuous, were recorded over a total time period of 36 s. In frame A the fibrillation waves (fff) of atrial fibrillation (AF) are seen. A narrow QRS complex conducts through the AV node (CB = conducted beat). When the AV nodal conduction slows below a ventricular response rate of 80 bpm, the bipolar temporary pacemaker with the lead positioned in the right ventricle captures the heart (PB = paced beat). In frame B approximately 45 s after a bolus of 2 mg/kg lidocaine was given, AV nodal conduction is evidenced by the conducted beats (CB) and associated with atrial waveforms that are variable in morphology and rate (possibly atrial flutter to atrial tachycardia). Then, the baseline flattens as the tachyarrhythmia ceases. The pacemaker initiates a rhythm (PB) because the ventricular rate is less than 80 bpm. P waves (P) indicate the return of a sinus rhythm. In frame C the return of a sinus rhythm with AV nodal conduction is documented. In subsequent ECGs the relatively deep Q waves and left axis shift of the sinus beats persisted and was believed to be due to the orientation of the heart in the thorax of this Doberman. Paper speed 50 ms, sensitivity 10 mm/mV. A 10-year-old 55 kg castrated male Labrador retriever was admitted with severe laryngeal paralysis and nonspecific cervical pain. The dog was treated by the referring veterinarian with acepro- mazine (0.04 mg/kg IV), butorphenol (0.2 mg/kg IV), dexamethazone and furosemide. On admission to Cornell University, the dog had profound inspiratory stridor and exhibited severe pain with cervical manipulation. Additional subcutaneous (SC) doses of acepromazinea (0.01 mg/kg) and butorphenolb (0.2 mg/kg) were given. A sinus arrhythmia (not confirmed by ECG) and heart rate of 60 bpm were auscultated. Chemistry panel and thoracic radiographs were unremarkable for organ dysfunction. Two hours later when the dog was examined in preparation for surgery, AF was suspected from auscultation and confirmed by electrocardiography. Sustained AF was documented with a continuous ECG monitor for 35 min. A bolus of 2 mg/kg of lido- cainec was given IV and the atrial fibrillation (AF) was converted to sinus rhythm in 68 s (Fig. 1). Echocardiography performed during the restored sinus rhythm revealed a normal heart. The following day the dog underwent successful left arytenoid lateralization under general anesthesia with isofluraned which included premedication with glycopyrolatee and oxy- morphonef and induction with propofol.g Recovery was satisfactory and the dog was clinically improved and in sinus rhythm when rechecked 2 months later. The reason for the cervical pain was not determined, but did not persist. A 2-year-old 34 kg castrated male Doberman pincher was admitted for frequent syncope. A 24-h ambulatory ECG recording revealed sinus arrhythmia with an average heart rate of 79 bpm (range 36—231 bpm). A total of 2107 sinus pauses of greater than 2 s were recorded with the longest pause of 8.5 s. AV nodal conduction was normal. Thoracic radiographs and echocardiogram were normal. The dog underwent pacemaker implantation under general anesthesia with isofluraned which included premedication with morphineh (1 mg/kg SC), midazolami (1.5 mg/kg IV), and induction with midazolam (1.5 mg/kg IV) and eto- midatej (0.8 mg/kg IV). A temporary pacing lead was positioned in the right ventricle with the rate programmed at 60 bpm. Forty minutes after the induction of anesthesia the heart rate suddenly increased to 90 bpm and the rhythm was irregular. The ECG revealed AF with intermittent AV nodal conduction that at times was slow enough to permit the pacemaker to capture the rhythm (Fig. 2A). After 40 min of documenting sustained AF, a bolus of 2 mg/kg of lidocaine was given IV. The atrial fibrillation (AF) ceased 45 s after the IV bolus of lidocaine and a slow sinus rate was initiated (Fig. 2B and C). Pacemaker implantation continued uneventfully. A sinus rhythm was confirmed 6 months later. In each of the dogs reported herein an elevation in parasympathetic tone potentially contributed to the environment in which AF could be triggered. In the first dog the combination of the laryngeal paralysis and potential cervical lesion could have increased the vagal tone. Parasympathetic tone was likely further enhanced with the sedation, particularly butorphenol. High vagal tone was evidenced by the slow heart rate and sinus arrhythmia initially auscultated. Additionally, continued high vagal tone was probable given the continued bradycardia and heart block present after restoration of the sinus rhythm. The second dog was pretreated with morphine which is known to increase vagal tone.9,10 Both dogs had structurally and functionally normal hearts as judged clinically. Atrial fibrillation thus far has not recurred in either dog. The frequency in which atrial fibrillation (AF) develops in presumed clinically normal dogs with enhanced vagal tone is unknown. However, experimental dogs simply sedated with drugs that increase vagal tone are easily induced to AF.6,7 The experimental dogs lacked a disease substrate, but did have modification to their autonomic tone and usually a premature atrial complex to trigger the AF.6 In the clinical cases reported herein, we did not document the onset of AF to know if a premature atrial complex triggered the arrhythmia. Moreover, we do not know if subclinical atrial disease made these dogs more susceptible to AF. Usually such a disease substrate is present with AF1; however, in the large dog perhaps high vagal tone and a trigger (premature atrial complex) are the only requisite ingredients for expression of the arrhythmia. Admittedly a speculative hypothesis, but yet plausible, is that lone AF in some giant and large breed dogs1 is induced by inciting circumstances (not necessarily drugs) of high parasympathetic tone (e.g. sleep) with simply a spontaneous single premature atrial complex to trigger the AF. In models of AF associated with elevated vagal tone, class I drugs slow the atrial activation frequency and increase the organization of the arrhythmia prior to termination.16 The exact mechanisms of action of these agents, and more specifically lidocaine, remain uncertain. Most experiments suggest that vagally induced AF is a reentrant mechanism and that the wavelength (wavelength = conduction velocity X refractory period) of the reentrant circuit is the major determinant for maintenance of the arrhythmia.17 Class I drug blockage of sodium channels causes a use-dependant prolongation of the post-repolarization refractoriness. This results in an increase in the reentrant wavelength thatcan- not be sustained by the atrial tissue and terminates the arrhythmia.18 Other experimental and mathematical models do not support this theory, but suggest that an increase in the excitable gap of the reentrant wave is the mechanism for conver- sion.19,20 Most recently, mathematical modeling of vagotonic atrial fibrillation (AF) suggests that pure sodium blockade can decrease the dominant frequency and decrease the generation of secondary wavelets by wave- break.21 Finally, conversion of vagally induced AF with the local anesthetic lidocaine might result from a direct blockage of the cardiac muscarinic receptors, opposing the parasympathetic stimulation. Some studies showed the effects of lidocaine on various types of muscarinic receptors in different tissues.22,23 It is this explanation that might be the most plausible in the clinical setting described in these two dogs. In both dogs the sinus rhythm was initially slow after the conversion. This could be due to the pervasive elevation in vagal tone slowing sinus node automaticity or the effects of the AF. Sinus node recovery time was prolonged in dogs with experimentally induced AF due to electrophysiological remodeling, although this would explain only a transient pause in the sinus rhythm.24 Such electrophysiological alterations have been documented in the dog to occur after as little as 2 weeks of atrial fibrillation (AF); however, in the dogs of this report, AF duration was less than an hour. In conclusion, we report that lidocaine administered within 1 h of the onset of AF associated with elevation in vagal tone can pharmacologically cardiovert dogs back to sinus rhythm. For a subset of dogs with AF such immediate treatment might preclude persistent AF with its detrimental effects. To evaluate whether these initial findings are as consistent as our experimental results, evaluation of a larger number of dogs is required. Menaut P, Belanger MC, Beauchamp C, et al. Atrial fibrillation in dogs with and without structural or functional cardiac disease: a retrospective study of 109 cases. J Vet Cardiol 2005;2:75-83. Bright JM, Martin JM, Mama K. A retrospective evaluation of transthoracic biphasic electrical cardioversion for atrial fibrillation in dogs. J Vet Cardiol 2005;2:85-96. Brundel BJJM, Melnyk P, Rivard L, et al. The pathology of atrial fibrillation in dogs. J Vet Cardiol 2005;2:121-9. Waldo AL. Mechanisms of atrial fibrillation. J Cardiovasc Electrophysiol 2003;14:S267-74. Pariaut R, Koetje BD, Renaud-Farrell S, et al. Spatio- temporal organization of induced atrial fibrillation in German shepherd dogs with inherited ventricular arrhythmias [Abstract]. J Vet Intern Med 2005;19:416. David D, Lang RM, Neumann A, et al. Parasympathetically modulated antiarrhythmic action of lidocaine in atrial fibrillation. Am Heart J 1990;119:1061-8. Tse HF, Lau CP. Does sinus rhythm beget sinus rhythm? Effects of prompt cardioversion on the frequency and persistence of recurrent atrial fibrillation. Card Electrophysiol Rev 2003;7:359-65. Zickmann B, Hofmann HC, Pottkamper C, et al. Changes in heart rate variability during induction of anesthesia with fentanyl and midazolam. J Cardiothorac Vasc Anesth 1996;10:609-13. Michaloudis D, Kochiadakis G, Georgopoulou G, et al. The influence of premedication on heart rate variability. Anaesthesia 1998;53:446-53. Liu L, Nattel S. Differing sympathetic and vagal effects on atrial fibrillation in dogs: role of refractoriness heterogeneity. Am J Physiol 1997;273:H805-16. Skanes AC, Manfapati R, Berenfeld O, et al. Spatiotemporal periodicity during atrial fibrillation in the isolated sheep heart. Circulation 1998;98:1236-48. 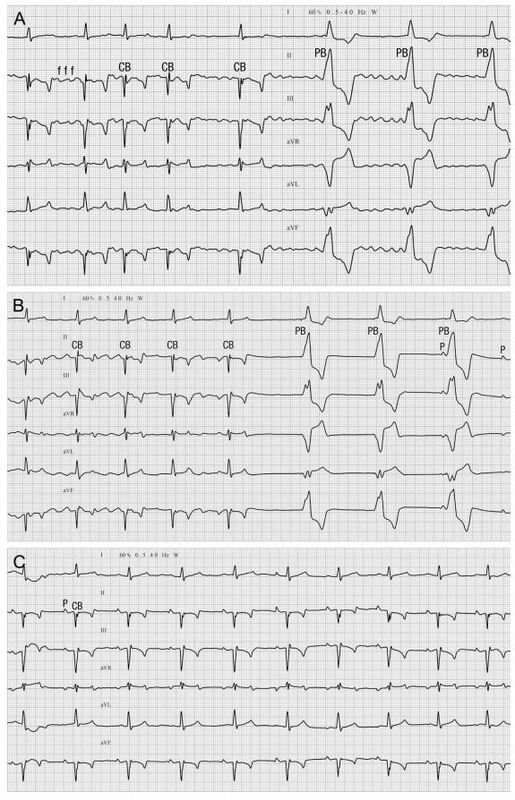 Wang Z, Feng J, Nattel S. Idiopathic atrial fibrillation in dogs: electrophysiologic determinants and mechanisms of antiarrhythmic action of flecainide. J Am Coll Cardiol 1995;26:277-86. Griffioen KJS, Venkatesan P, Huang Z, et al. Fentanyl inhibits GABAergic neurotransmission to cardiac vagal neurons in the nucleus ambiguus. Brain Res 2004;1007:109-15. Yelich MR, Euler DE, Wehrmacher WH, et al. Parasympathetic influence on atrial vulnerability in the puppy. Am J Physiol 1978;235:H683-9. Nattel S, Kneller J, Zou R, et al. Mechanisms of termination of atrial fibrillation by class I antiarrhythmic drugs. J Cardi- ovasc Electrophysiol 2003;14:S133-9. Jalife J. Experimental and clinical AF mechanisms: bridging the divide. J Interv Card Electrophysiol 2003;9:85-92. Shinagawa K, Mitamura H, Takeshita A, et al. Determination of refractory periods and conduction velocity during atrial fibrillation using atrial capture in dogs. J Am Coll Cardiol 2000;35:246-53. Wijffels MCEF, Dorland R, Mast F, et al. Widening of the excitable gap during pharmacological cardioversion of atrial fibrillation in the goat. Circulation 2000; 102: 260-7. Kawase A, Ikeda T, Nakazawa K, et al. 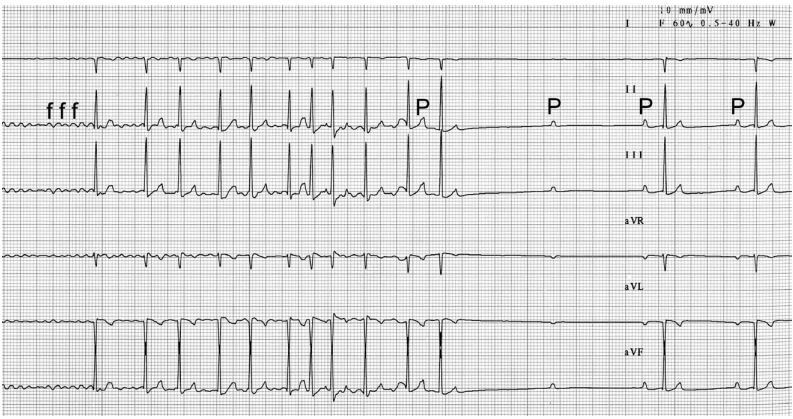 Widening of the excitable gap and enlargement of the core reentry during atrial fibrillation with a pure sodium channel blocker in canine atria. Circulation 2003;107:905-10. Kneller J, Kalifa J, Zou R, et al. Mechanisms of atrial fibrillation termination of pure sodium channel blockade in an ionically-realistic mathematical model. Circ Res 2005;96: e35-47. Hollman MW, Fischer LG, Byford AM. Local anesthetic inhibition of M1 muscarinic acetylcholine signaling. Anesthesiology 2000;93:497-509. Yunoki M, Nakahara T, Mitani A, et al. Role of the M2 muscarinic receptor pathway in lidocaine-induced potentiation of the relaxant response to atrial natriuretic peptide in bovine tracheal smooth muscle. Naunyn-Schmiedebergs Arch Pharmacol 2003;367:76-9. Elvan A, Wylie K, Zipes DP. Pacing-induced chronic atrial fibrillation impairs sinus node function in dog. Electrophysiological remodeling. Circulation	1996;94: 2953-60.